This week, the Mexican Senate granted its general approval to a much-awaited piece of legislation that would modernize the energy sector and open it up to private investment. The bill is now under consideration at the House of Representatives, where it is also likely to pass, though some of the bill’s points are still being debated due to ongoing opposition by leftist politicians. In the Senate, the bill passed with 95 votes in favor (PRI, PAN, Partido Verde) and 28 against (PRD, PT, Movimiento Ciudadano). Once final, Pemex is expected to submit to the Secretary of Energy (SENER) the blocks where it would like to issue contracts within 60 days. Then SENER has 180 days to approve or reject those requests, resulting in "Round Zero" of gas and oil contracts in Mexico. Next week, our Latin America intelligence partners at Southern Pulse, will take us through the details, nuances and implications of this landmark decision in another special issue of Oil & Energy Insider, so be sure not to miss out on this. In the meantime, in another energy-headlining venue, Iran announced earlier last week that it was looking to increase oil exports and talk business with foreign energy companies to that end. Iranian Petroleum Minister Bijan Namdar Zanganeh told reporters in Vienna that Iran hoped eventually to resume its previous production and export levels, and would hold talks with international companies this week in Vienna on developing its energy industry, following a six-month agreement clinched last month between Iran and world powers to lift some trade sanctions if Tehran curtails its nuclear program. Since sanctions were slapped on Iran in July 2012, exports have fallen by half and Iran is losing up to $5 billion per month in revenues. 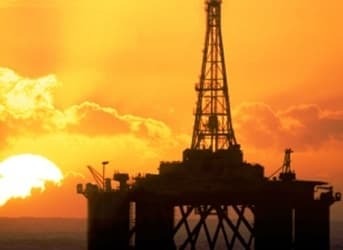 But the Iranian announcement sparked an immediate reaction from US Congress, which has threatened oil companies with “severe financial penalties” if they resume business with Iran “prematurely” following the six-month agreement reached in Geneva. The Obama Administration pushed this deal through with Iran while Congress was off on Thanksgiving holiday, and there are plenty of figures in Congress—Republican and Democratic alike—who are opposed to the deal. As we noted in our 28 November issue of Oil & Energy Insider, the key “Iran hawk” in US Congress, South Carolina Republican Lindsey Graham, has described the deal as “so far away from what the end game should look like”, which should be to “stop enrichment”. The opposition in this case believes any talk between Tehran and Western oil companies is premature because they are convinced that we won’t see a comprehensive resolution after the six-month period, and that sanctions will be laid on stronger than ever before. The warning is directed specifically at Royal Dutch Shell, Italy’s Eni and Austria’s OMV—all of which are considering renewing operations in Iran. Iran is wasting no time moving forward with this, full speed ahead, and according to the Washington Post, Tehran has invited some of the majors to talk about returning to the country—and has “appointed officials who are known to Western companies for their pragmatism”. The talk is also premature because energy sector development will not be possible without a complete lifting of sanctions—but the majors and Tehran, unlike US Congress, are betting on a successful six-month trial period. I know I say this most weeks but if you are looking to get ahead of the curve when it comes to energy investing, spotting opportunities within the energy sector or are an executive looking to get inside sector and geopolitical intelligence this week’s Oilprice Premium is a MUST READ. Dan Dicker reveals his top stock pick for 2014, Dave Forest looks at changes that are coming to the oil sector and how investors can profit from these. Our Intelligence Notes look at the Collapse of the Central African Republic and the impact this could have on investments in the region and also how China’s investment into Kenya is giving a major boost to infrastructure. Read this week’s edition completely free. We offer a 30 day free trial to readers in which time you will receive 30 reports that look at trading opportunities, unique investments, industry developments, geopolitical updates and much more. You can cancel at any time during these 30 days if you think our research isn’t for you. You have no risk and need make no payment to try our premium service – we can’t be fairer than that. To find out more about how you can start a 30 day free trial - click here.